Asking the person you love to marry you is one of the biggest moments of your life. You want it to be perfect and memorable. 1. Your Personality. When planning the way to propose to the love of your life, make sure it matches both of you. If you hate rock music, don’t propose at a rock concert. Brainstorm all the places you both love (water, mountains, cabins, movies, restaurants, gyms, trees, churches, anything), and now you have a list of place to propose. The location should match both of you to make it more meaningful. 2. Ask her. “What would be your dream proposal?” There is absolutely NO shame in asking this question. It shows that you are interested and care, and it’s not like you haven’t been talking about the possibility of marriage already. If she gives you a detailed depiction of her dream proposal, you have a great foundation! If she’s vague, try to get details about the following: Would she want it to just be the two of you? Or in a big stadium full of strangers? intimate dinner with friends? parents? family? The worst thing you can do is ask her in a crowded restaurant full of strangers when in her heart she always imagined it being an intimate and romantic private event by candlelight in the woods. If you ask how she (or he) wants it, you’ll have better chances of pleasing and providing the perfect proposal. 3. Permission? You better find out if she wants you to ask her father or mother for their blessing, or “her hand in marriage,” or their permission – however some people phrase it these days. This was very important to my best friend, but it would have mortified me to have my husband ask my dad for permission (as if I’m a piece of property that he owns? I don’t think so!). Every individual, even within families, may feel differently about this tradition. Find out! 4. Practice. Yes, practice. You’re going to be nervous and excited, and you want your speech about how much you love her to be coherent. So practice. It will relieve a little anxiety when it comes time to perform for real. 5. Message in a Bottle. If your woman is a sucker for chick flicks, she will love this one! Write the sweetest love letter you can think of. Write it by hand, and write it to “My love” and sign it “Your Love” (or something else that doesn’t give away hers or your identity). Say all the sweet things you can think of. Soak the paper in coffee, let it dry, and carefully burn the edges. This will give it that old and rustic but romantic look. Select a bottle that represents something special (her favorite soda, wine, beer, hard liquor, etc). Carefully roll up the letter into the bottle and seal it tight (use melted wax if you need to make sure it doesn’t leak). Choose a location with water (river, creek, pond, lake, ocean, anything!). Arrange for a friend to deliver the bottle to a predetermined location right before your arrival. Now take your sweetie there after a nice romantic activity (dinner, hiking, whatever you both like). Walk to where the bottle is. Let her find it. Even if it means hanging around the area for a little while. Don’t even give any hints. She will find it. Let her open it. Ask her to read it out loud. When she’s done, get down on one knee (even if it’s muddy) and give her your heart. Tell her all the reasons you love her and why you want to spend the rest of your life with her. Break out the ring and ask her. 6. It’s TIME. Has your partner been nagging a little bit? Has she mentioned how it’s time to get married – you’ve been together for so long. Is her “biological clock” ticking? 🙂 If so, then this may be the perfect way to ask. By hand, write her the sweetest love letter – all the reasons you love her, why she is so amazing, how your life is better because of her. Sign it. And write, P.S. I suppose it’s time. Fold it up (tie it with a ribbon of her favorite color for a special touch). Grab a clock in your house, pull out the batteries, and replace them with the letter. Tell her you can’t figure out why the clock isn’t working, and you think it might be the batteries. Ask her if she’ll take a look at it for you (because she’s so smart and helpful) and leave the room (if she says she’ll look at it). In the other room, have her favorite song ready to play on your radio or stereo. When you can hear that she has read your letter, turn her song on and come out (or just turn it on when she comes into the room). Get down on one knee and start pouring your heart out to her. Break out the ring and ask her. *If you want to do something bigger, make reservation at her favorite restaurant for dinner afterwards, and you can even arrange for a limo to take you. 7. You can sing. Can you sing? Has your parnter always wanted you to write a song for her? Do it. Write the song, take her somewhere special…and let the last words of the song be – Will you Marry me? 8. Crazy for you. Does your partner have a passion for or degrees in psychology, counseling, social work, or any other field where she works to diagnose people? If so, this may be the perfect proposal idea for you. 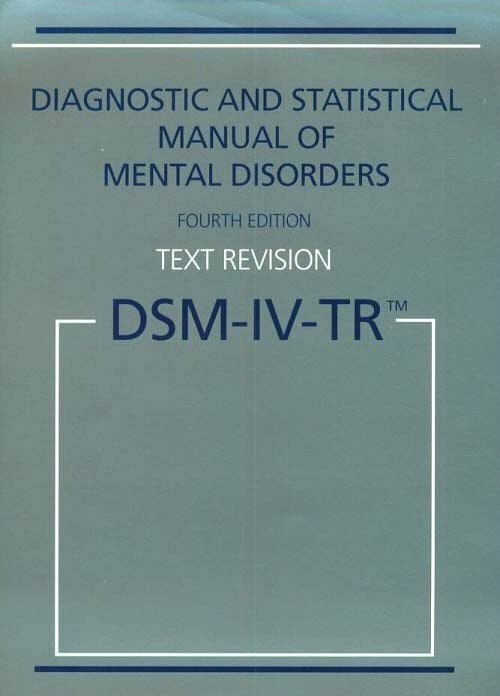 Purchase a DSM-IV-TR (Diagnostic Manual) (this will be the spendy part as they are around $40, but it will be a lifelong keepsake). Cut out a square in the book (in the pages) big enough for your ring or the box for the ring. Now, think of when and where you’d like to propose (see above), and when you do – finish with, “I am crazy for you.” Hand her the book, let her open it, and ask her to marry you!! It will be a fantastic story to share with her friends and family, and you can keep the book and the box as a wonderful keepsake. 9. Video down memory lane. This is a very romantic, thoughtful, and impressive way to propose that leaves you both with a remarkable keepsake. Obtain a video camera, and start going down memory lane. If you have the editing equipment, you can be a little more flexible in your filming. If you don’t, plan it out well. Start with the place you first met, your first date, and any other significant locations and places. At each place, put yourself in front of the camera and reminisce about your memories with your loved one. Once you’ve finished filming, add some music to it if you’d like or any other special touches. Now, how you present it is up to you. You can make this a private or public event (see above). For a private event, if you guys are very chill and just like to stay in and watch movies – pop some popcorn and pop it in. When it’s over, get on bended knee and do your thing. If you have a more outgoing and public personality, try to arrange for a local movie theater (with DVD projection capabilities) to make a special showing for you (maybe after midnight or during a really slow time). Invite all your friends and family to be there. Show up late, so she can’t see who’s in the movie theater. When it starts showing, she’s going to love it. When it’s over, arrange for the medium lights to go on, get on bended knee and do your thing. This will be a memorable event for a lifetime. Whether you do it privately or publicly, it will be something you will both have and remember forever. 10. Poster. Does your partner like posters? If so, your proposal can be a poster she’ll never want to lose. Select a picture of the two of you and design a poster. You can do this in Microsoft PowerPoint pretty easily. (Just go to help and find out how). Be as creative or as simple as you’d like. You can include just the picture and the words, “Will you marry me?” Or you can include a quote, poem, your own words saying how much you love her, multiple pictures, graphic designs, etc. Just design it from your heart. You can go to Kinko’s and get them to print it for you (depending on size, it can cost around $50 – $100) and then get it framed. Based on whether you want to propose privately or publicly, you can present this poster to her in a variety of ways. You can hang it up in a main room where she lives, cover it up, and present it to her after a fun evening or date. Or you can call some local galleries and ask for their help. You’d be surprised how helpful people will be when they hear you are going to propose. If a gallery will help (and she would enjoy a public proposal), invite all of her friends and family to the gallery (without her knowing it), and take her out on an amazing date. End with the gallery (time it out perfectly) and have your poster (or painting) in the back. When you get there, she’ll see all her friends and family and get very suspicious. Reveal your work, get down on bended knee, tell her lots of sweet and lovely thing, and ask her to marry you. And now the two of you will have a beautiful keepsake to remind you of this exciting time in your life. 11. How you met. How did you meet? Meeting your loved one is what started it all, and incorporating how you met into your proposal is a meaningful move. You can incorporate it however you want – propose at the location, have an egagement party there after you propose, have the friend who introduced you help, order the same food, etc. Get creative! *I’ll continue adding as I think of them. Good luck!